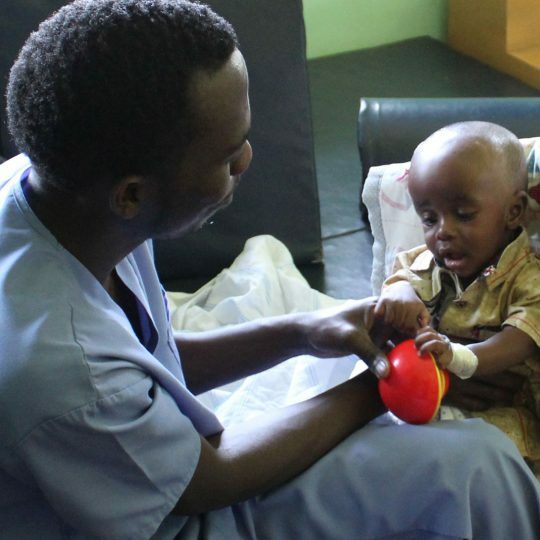 Emmanuel has become a regular presence around CURE Niger even though he is relatively new. 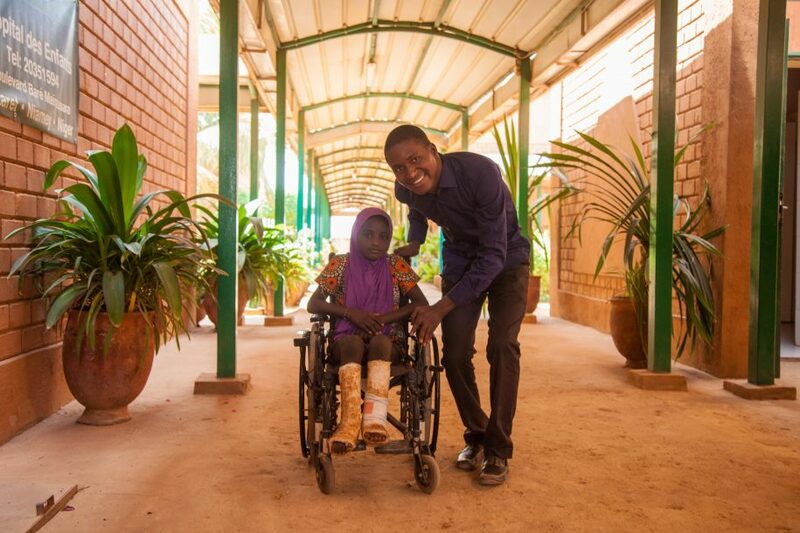 His journey began back in 2015 when he was attending the national youth conference for his denomination in Niger and heard a presentation by our Spiritual Director, Hannatou, and our National Clubfoot Counselor, Pastor Moussa. “I admired their work, but I did not think more about it,” he says. At the time, Emmanuel was studying English at the national university. Eager to ingrain himself in the small but present Christian community on campus, he joined Cru (formerly Campus Crusade for Christ). 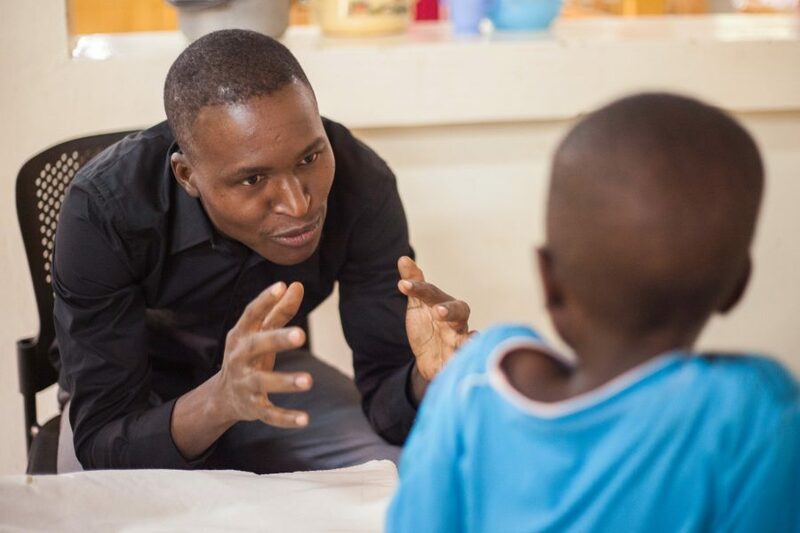 Through this connection, Emmanuel ended up in an evangelism-focused Bible study led by a man originally from the Democratic Republic of Congo. 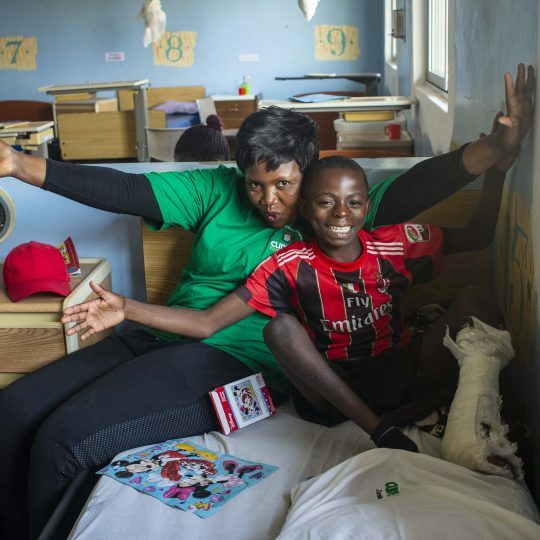 While Emmanuel was working at his studies, Hannatou was realizing that she needed some help over at the hospital. 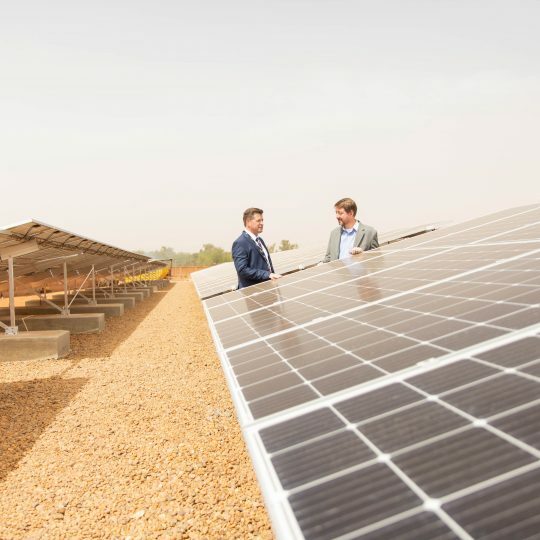 Out of all the CURE hospitals on the African continent, CURE Niger is the only one that uses French as its operational language as opposed to English, which is the operational language of the CURE network at large. Hannatou speaks English, but was getting bogged down with all the French to English translations and vice versa. She started putting out feelers to see if there was someone who could help. The problem was finding someone who is both fluent in English and committed to the Christian principles of the CURE Niger Spiritual Team—a difficult task in Niger, where neither Christianity nor English are common. The Congolese man leading Emmanuel’s Bible study turned out to be a friend of Hannatou’s and, eventually, recommended that Emmanuel apply for the job given his unique qualifications. Long story short, Emmanuel got the job and is now the Spiritual Director’s Assistant. 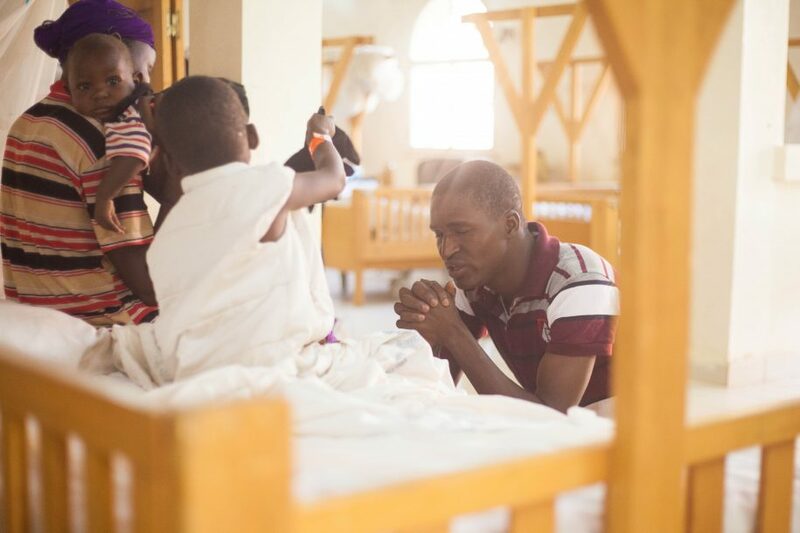 Emmanuel has a host of responsibilities that include coordinating the hospital prayer program, morning devotions, and overseeing the staff spiritual development programs. Even with all of this, Emmanuel considers himself an evangelist first and foremost. 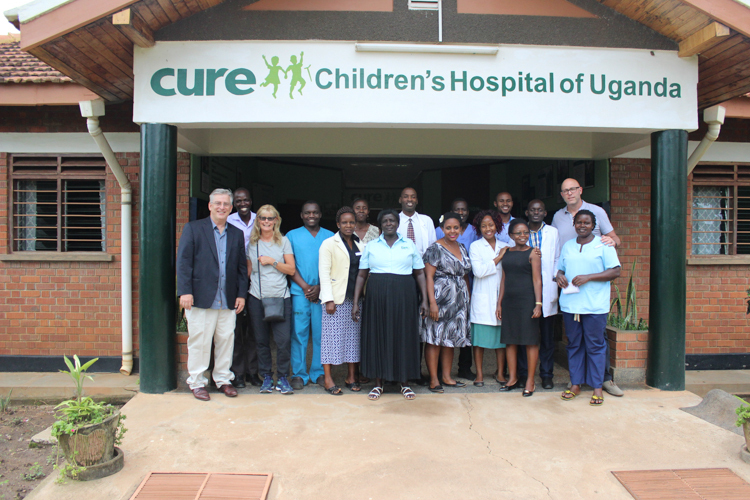 “I love my work at CURE because it gives me opportunities to present the gospel,” he tells us. “CURE makes the work easy because the people come from all over the country.” Normally, evangelists travel constantly spreading the message of Christ, but here, representative populations from all over Niger arrive on Emmanuel’s doorstep and hear the love of Christ. Another aspect that Emmanuel is passionate about is seeing the country of Niger joining in the work of healing that goes on at CURE Niger. To pursue this vision, Emmanuel is heavily involved coordinating relationships between CURE Niger and the local Nigerien church. He was a part of the inaugural pastor’s training hosted at CURE Niger late last year where pastors from all around Niger were invited for a multi-day conference where the theology of disability was discussed as well as how to identify treatable conditions. Emmanuel also partakes in awareness missions around Niger and spiritual outreaches to various parts of the country. Emmanuel’s energy and passion for the gospel make him an invaluable part of the CURE Niger team. His love for the children he serves is a prime example of Christ, and his grand vision for the small, but growing, Christian community in Niger keeps him charging ahead. 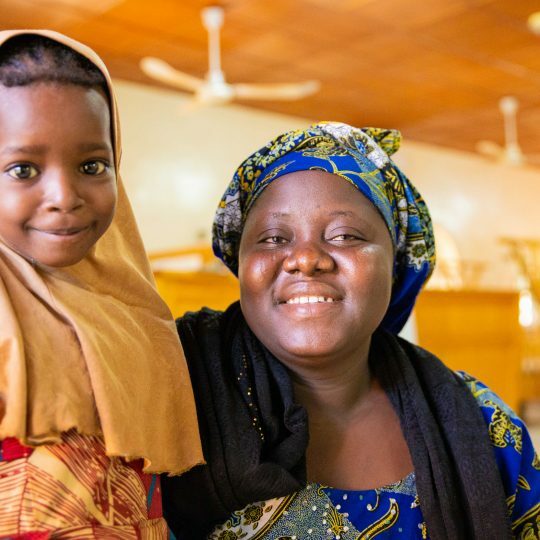 You can support the spiritual ministry of CURE, including our efforts in Niger, with a donation today at cure.org/donate and by praying for our ministry.